According to the American Academy of Audiology, more than 36 million Americans have some form of hearing loss. Although the incidence of hearing loss is the highest in the elderly (1 in 3 Americans between ages 65 to 74 have hearing loss) it is particularly disconcerting that an estimated 1 in 5 teenagers suffer hearing loss directly related to loud noise or music (American Medical Association, 2010). With such a high incidence, early detection and intervention are crucial for all ages. Notice family & friends make comments about your hearing. In order to determine the extent and type of hearing loss, we recommend scheduling a full audiological evaluation by a state licensed and professionally certified audiologist. As a full service Ear, Nose and Throat practice, we can arrange for a hearing test the same day that you have an appointment with one of our physicians. The audiological evaluation measures your ability to detect the frequencies that are responsible for hearing and understanding speech. By using various pieces of equipment, your auditory system will be assessed for areas of damage in the outer, middle, and inner ear. In addition to providing clues about the exact mechanisms that caused your hearing loss, the evaluation paints a picture about how your hearing affects your ability to understand speech. Degrees of hearing loss differ vastly. The degree of loss is determined by the amount of volume (decibels) required to just barely hear certain sounds during a hearing test. The severity of loss may vary depending on frequency/pitch (hertz), that is, someone might have a greater degree of hearing loss in the high pitches compared to the low pitches. Click to hear sound examples for each degree of hearing loss. - Mild hearing loss (26-40 dB) - Soft noises such as water dripping or birds chirping may not be heard. Understanding speech may be difficult or seem muffled, particularly in a noisy environment. These may be the first signs of hearing loss. - Moderate hearing loss (41-55 dB) - Normal conversation and some street noise may not be heard. One may no longer hear the hum of a refrigerator. Understanding speech is difficult in quiet and becomes extremely difficult with background noise. Requests for repetition are frequent. - Moderately severe hearing loss (56-70 dB) - Following normal conversational speech becomes nearly impossible. Everyday sounds such as a baby crying, phone ringing or door knocks can be impossible to hear. Frequent repetition becomes necessary. - Severe hearing loss (71-90 dB) - Conversations have to be conducted loudly. Group conversations require a lot of effort. Louder sounds such as smoke detectors, alarms or a car driving by can no longer be heard. - Profound hearing loss (90 dB +) – Communication in quiet is very difficult, even when one on one. Very loud noises such as airplanes, sirens, dog barking or even a lawn mower can no longer be heard. Some profound losses cannot be helped by traditional amplification. These individuals may be candidates for a cochlear implant. Configuration, or pattern, of the hearing loss refers to the pitch range(s) affected. For example, an individual who can hear low pitches but cannot hear high pitches would be described as having a high frequency hearing loss. Another individual may exhibit a “flat” configuration of hearing loss – i.e., similar degree of loss across all of the frequencies. 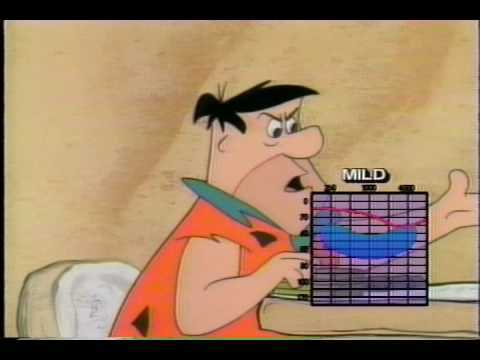 Other terms such as bell-curved or cookie-bite refer to the severity of hearing loss in the mid-frequencies being different than the high/low frequencies. Type of hearing loss refers to what is damaged inside the ear. Damage can occur to any combination of the three parts of the ear, called the outer, middle and inner ear. The outer and middle ears are comprised of the ear canal, ear drum & bony structures called ossicles. 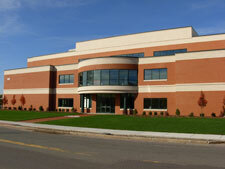 These structures perform a mechanical or conductive function – i.e., collecting and moving the sound to the inner ear. 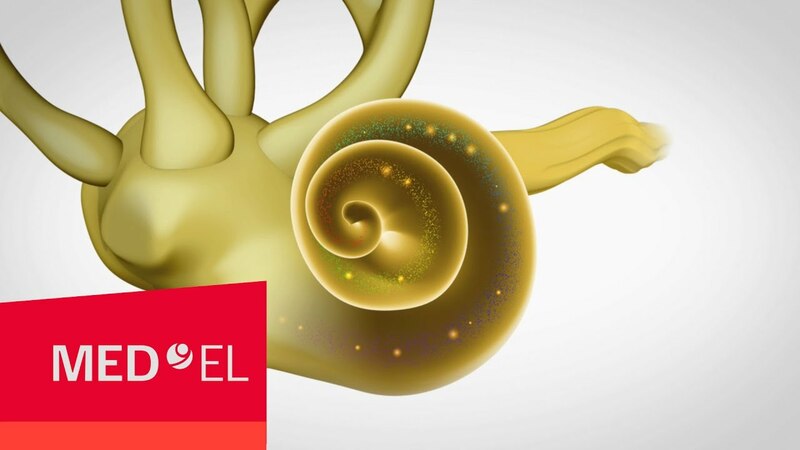 The inner ear is called a cochlea, the organ that collects the vibrating energy and excites the auditory nerve, sending the signal to the brain. There are three different types of hearing loss: conductive, sensorineural, and mixed hearing loss. 1) A conductive loss results from a disruption in the path of sound from the outer ear through the middle ear. The disruption causes it to take more energy, or a louder volume, to get the sound through the ear canal, the ear drum & ossicles. Since the nerve is healthy and undamaged, as long as we turn the volume up most people get extremely good clarity. Some causes include ear infections, fluid in the ears, perforations of the ear drum, wax buildup, disease/deterioration of the middle ear bones (referred to as otosclerosis) or trauma from an accident. If we can fix the structure that is damaged, this type of hearing loss can sometimes be medically or surgically treated. 2) A sensorineural hearing loss, on the other hand, is generally not reversible (although some sudden sensorineural losses may be treatable if medical attention is sought immediately). 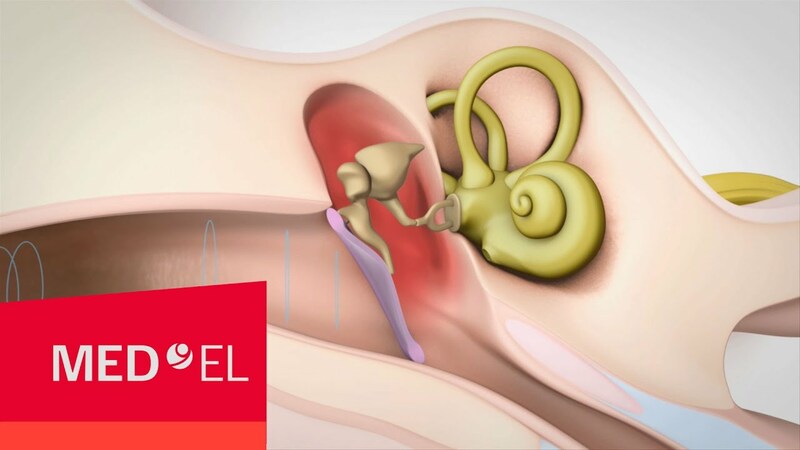 This type of hearing loss is caused by damage to the tiny hair-like cells in the inner ear (the cochlea) or the hearing nerve. This may be present at birth, occur gradually or suddenly. Causes of sensorineural hearing loss include prolonged noise exposure, trauma, aging, genetic factors/hereditary, toxic medications, viral or bacterial infections, or tumors. This type of hearing loss not only affects a person’s ability to hear softer sounds, it also often impairs the clarity of speech. 3) A mixed loss occurs when both a conductive and sensorineural loss coexist. One might have an underlying nerve-based sensorineural loss with a significant conductive component as well – e.g. having a pre-existing nerve based hearing loss from noise exposure and developing fluid in the middle ear.